Kiss Me Kill Me is a scary sad story about a girl who wanted to die and a boy she asked to murder her. Her name was Betty and she was 17 years old. Her parents were very strict and religious. Her father wouldn’t let her go to the movies or go out on dates with boys. At school, she was out of control. It seemed like she was always looking for attention. She dressed in black from head to toe and always tried to act weird of crazy. Everyone thought she was an oddball and nobody wanted to hang around with her. She had lots of boyfriends and started to get a bad reputation. One of her boyfriends was named Mack. He was on the football team. He was tall and good-looking and very popular in school. Everyone liked him. When Mack dumped her, Betty was crushed. She said that, without him, life wasn’t worth living. She told her friends that he had torn her heart to pieces and if she couldn’t be with Mack, she would rather be dead. One evening, she forced Mack to drive her home from school. She told him she was miserable and she wanted to die. He thought it was a joke at first, but then he realized she was serious. She must have been out of her mind. She told him that if he loved her, he would do it. He tried to ignore her, but she wouldn’t leave him alone. Every day, she worked on him, pressuring and begging and nagging until, finally, he gave in and agreed to do it. Betty gave him a shotgun and Mack bought some shotgun shells at a store. That night, they drove out to a pond. On the way, she was cheerful and chatted about how happy she was going to be when she was dead. They parked on the side of the road and walked down to the pond. Then, they just stood there in the darkness. “Give me a kiss to remember you by,” Mack whispered. Betty kissed him on the lips. Then, she knelt down on the ground at his feet. He put the shotgun to her head. She grasped the barrel. Mack pulled the trigger and blew her head off. He weighed her body down and pushed it into the lake. Then he drove home and went to bed. The next morning, Betty’s parents reported her missing and the police began a search for her. They questioned all of the kids in school. When they brought Mack in and interrogated him, he tried to tell them a bunch of lies, but they were too smart for him. They knew he had something to do with it. Finally, he broke down and told the police everything. He even led them down to the lake and showed them where Betty’s body was. Nobody in town could believe that Mack could have committed such a horrible crime. At school, none of us knew what to think. Of course, there was a trial and then another trial. Mack’s parents hired a fancy lawyer and he produced a letter that Betty had written. It said that she had begged Mack to kill her and he shouldn’t be held responsible. To everyone’s shock and disbelief, Mack was acquitted of murder and the police had to let him go. It completely divided the town. Some people supported Mack and others thought he was a cold-blooded murderer. Today, they say the ghost of Betty haunts the high school auditorium. Some people claim to have seen her pacing the balcony or heard her footsteps close behind them, only to turn around and find no one there. Teenagers park across the street from the High School and wait to see the ghost they called Betty. According to legend, if you flash your headlights three times and honk your horn and call out Betty’s name at exactly midnight, she will appear at the windows of the school auditorium. The scariest thing about this story is that it’s true. It happened in Odessa, Texas in 1960. The girl’s name was Betty Williams. The boy’s name was Mack Herring. Its Real.. Woooooo… Nice one, pics helped to imagine clear story with real characters…!!!! It’s even more creepy since it’s true. Betty in the picture looks good… Mack does’nt seen that good. 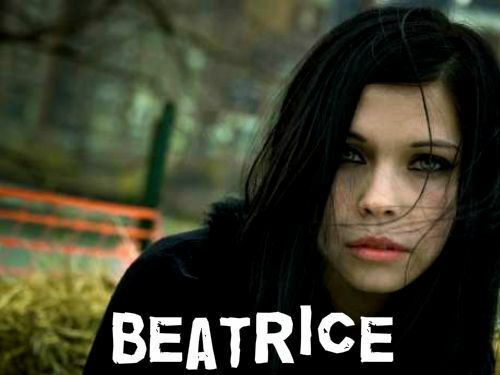 And by the way if all children in school hated her or avoided her…how she have so many boyfriends..? 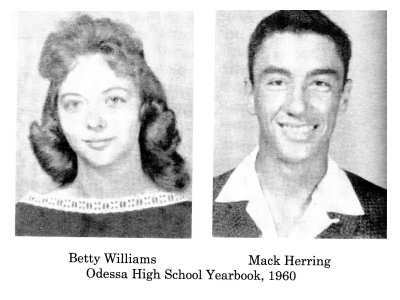 And the picture of betty doesn’t seem as she was in high school she looks much older than that…. Riiiiight… Sort of interesting and sort of lame, 6.5/10, I’ll say. Rightttt… Sort of interesting and sort of lame, 6.5/10, I’ll say. Lol this is kind of sweet in a sick twisted way…Keep it up SFK!